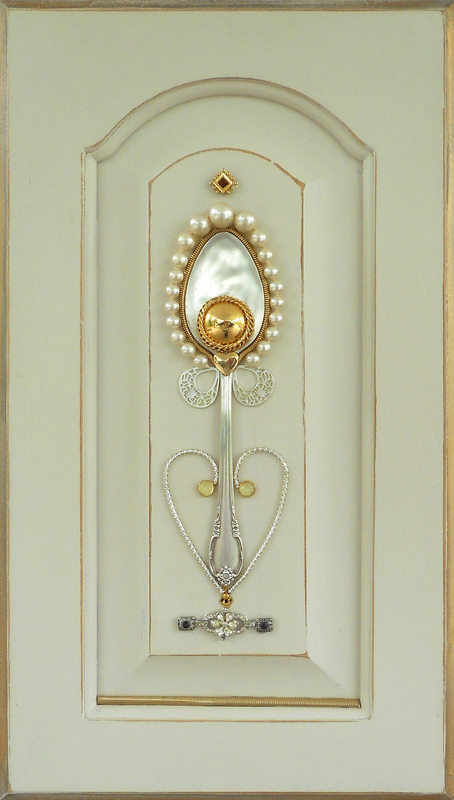 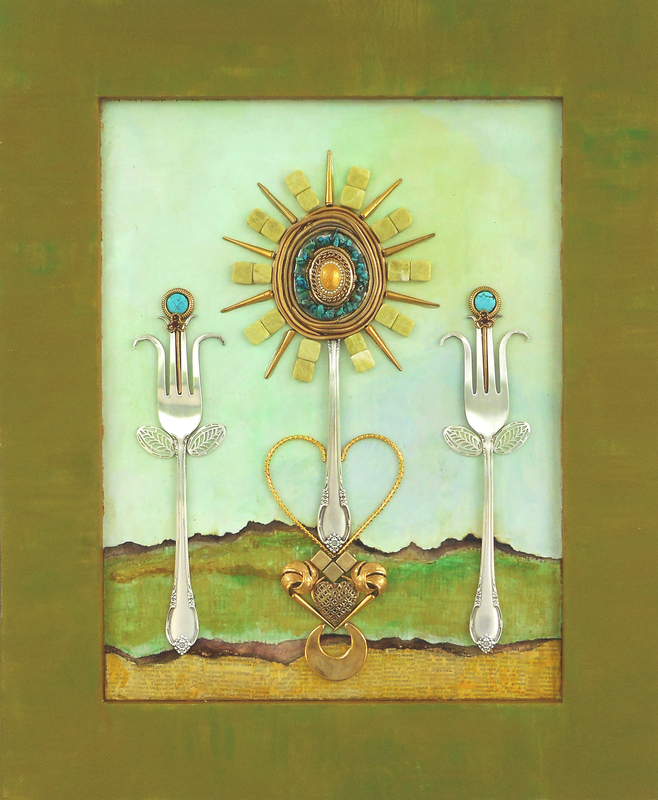 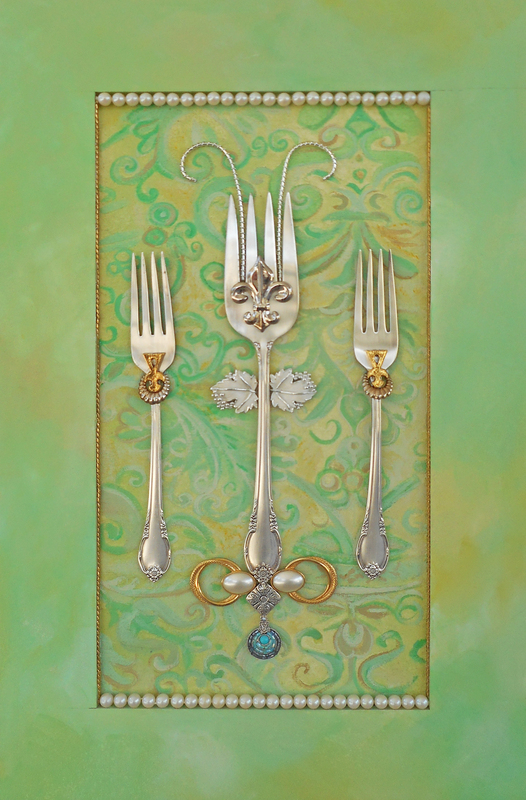 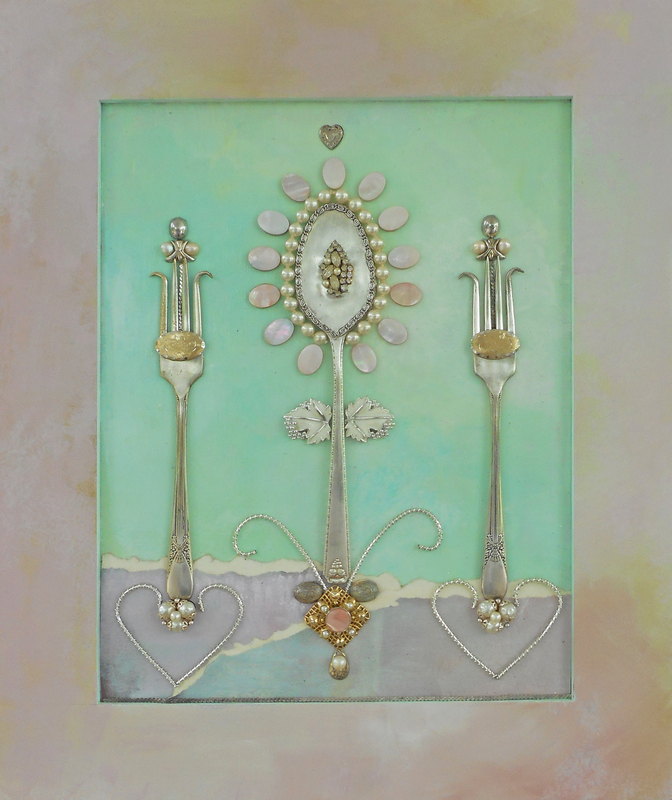 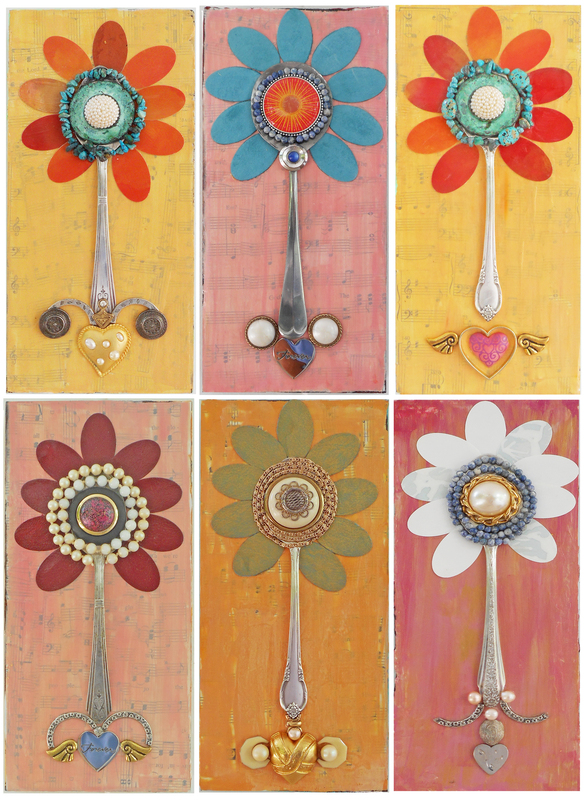 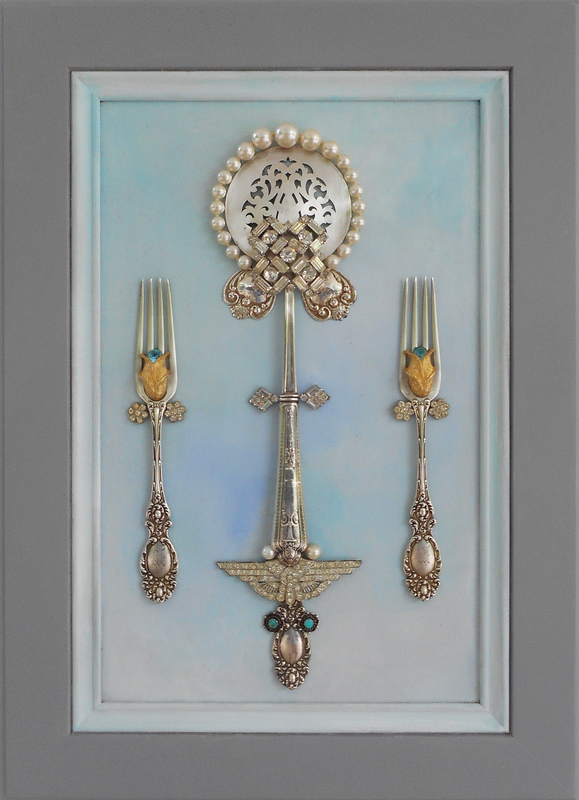 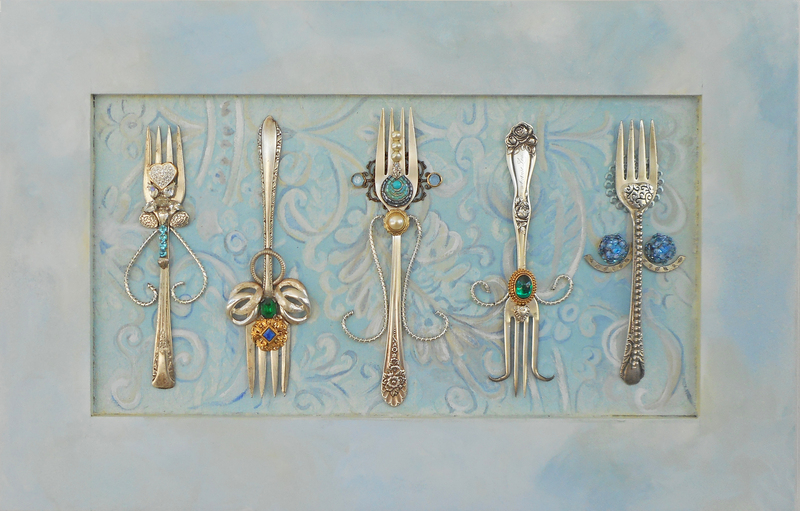 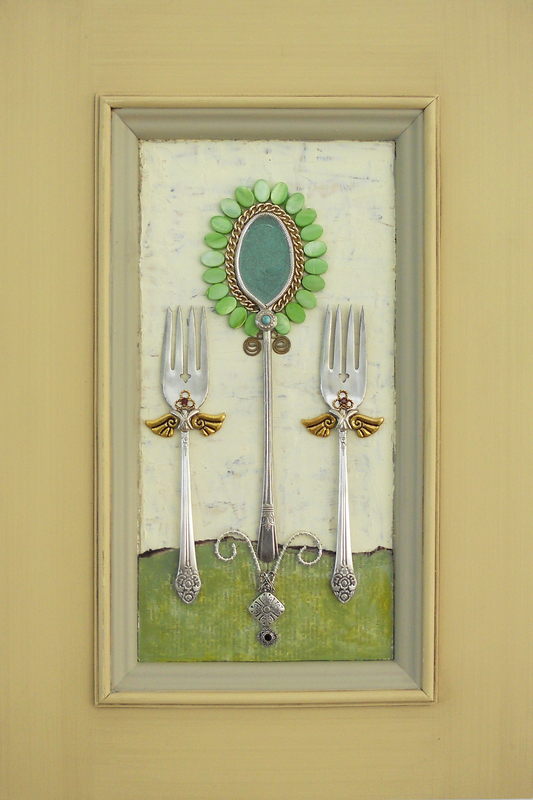 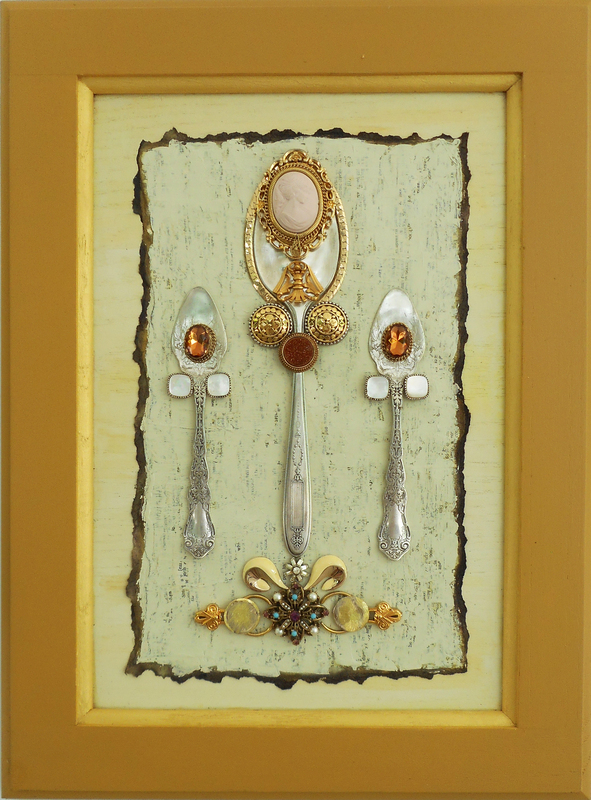 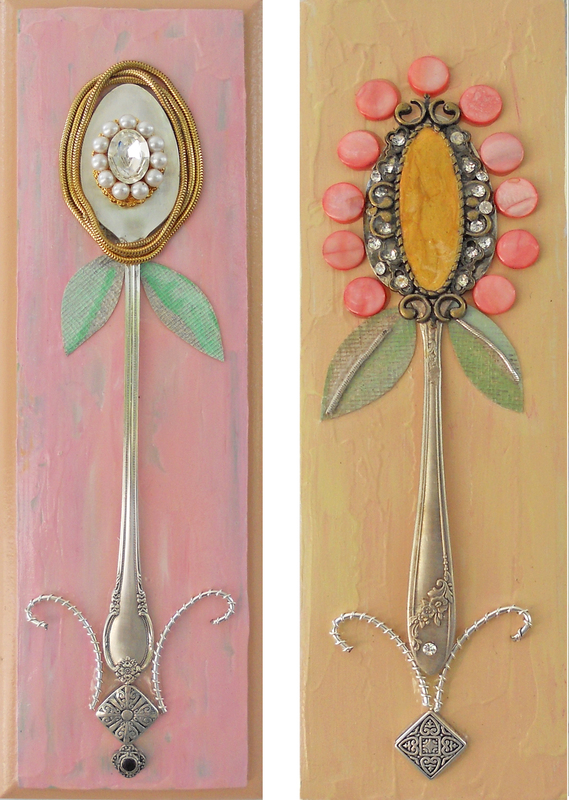 Antique, time-honored family cutlery combined with a few classic costume jewelry pieces create very unique and personal gifts. 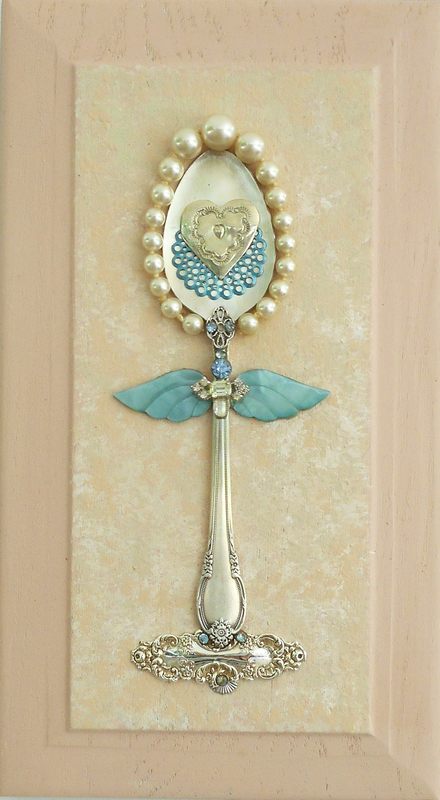 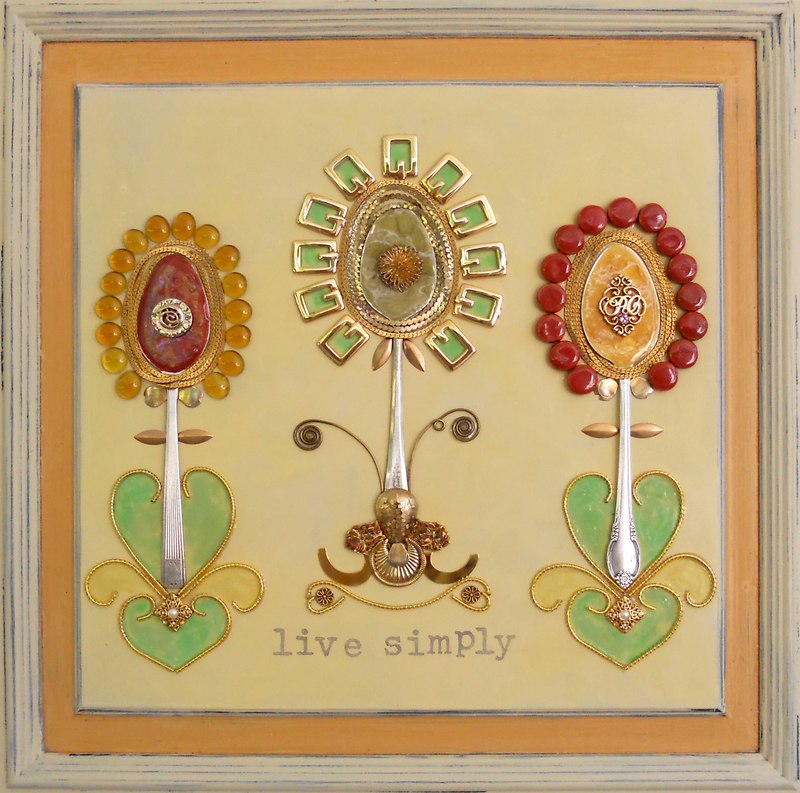 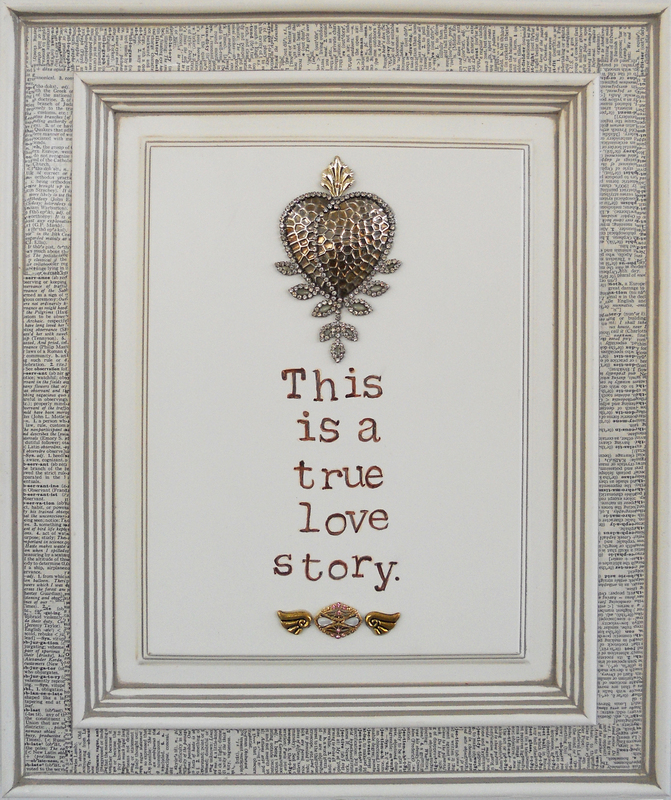 Custom plaques such as these can be gifted at weddings, births or given as a tribute to a loved one. 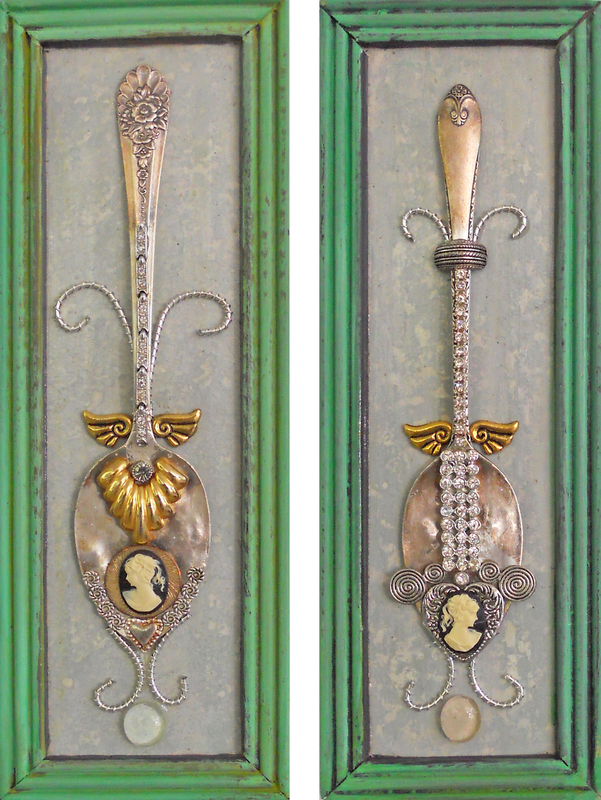 These three designs were commissioned by siblings after the passing of their mother. 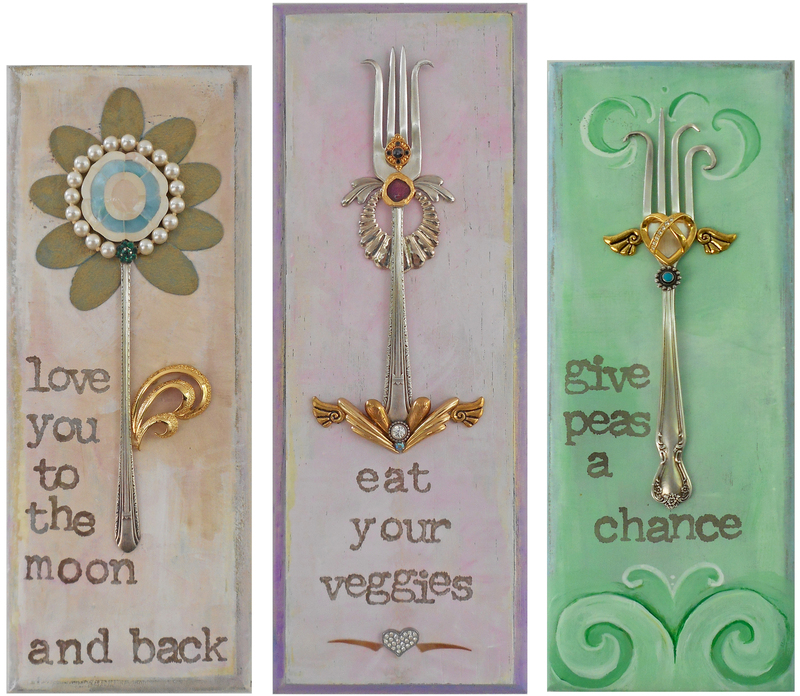 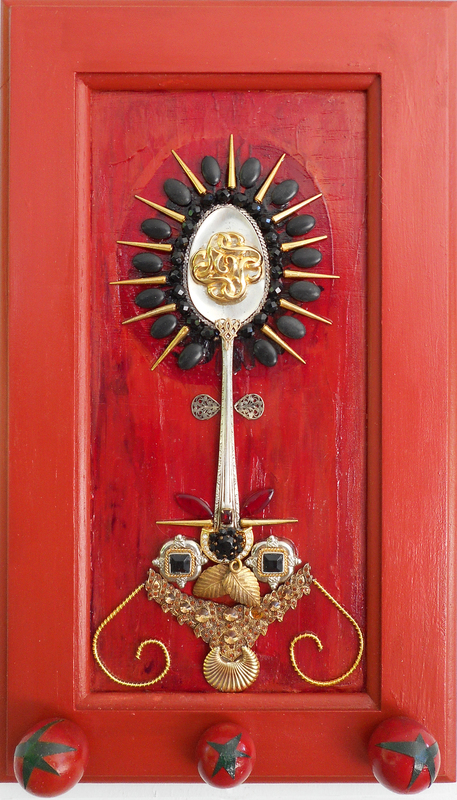 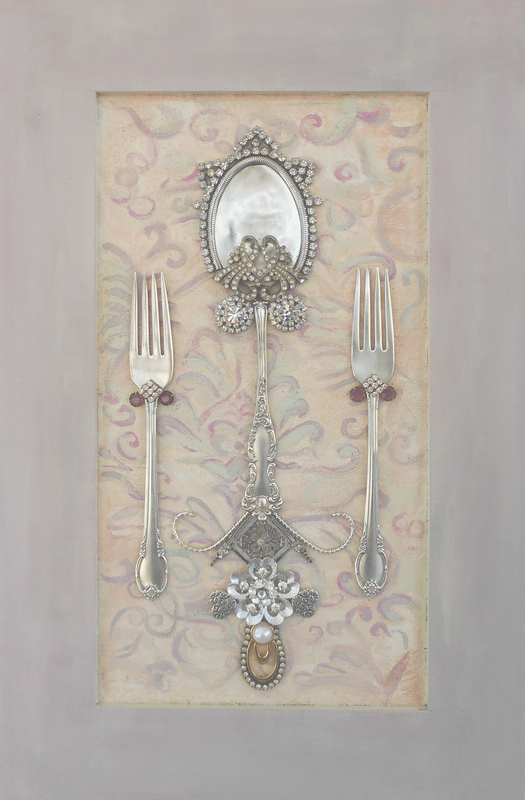 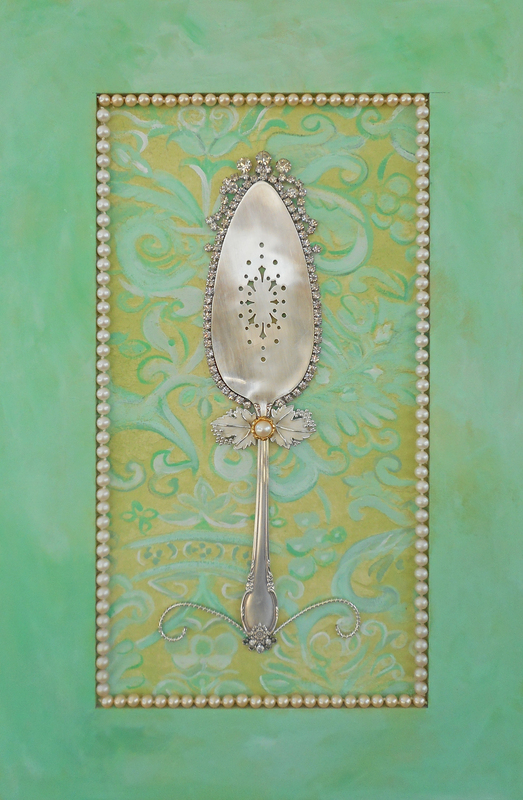 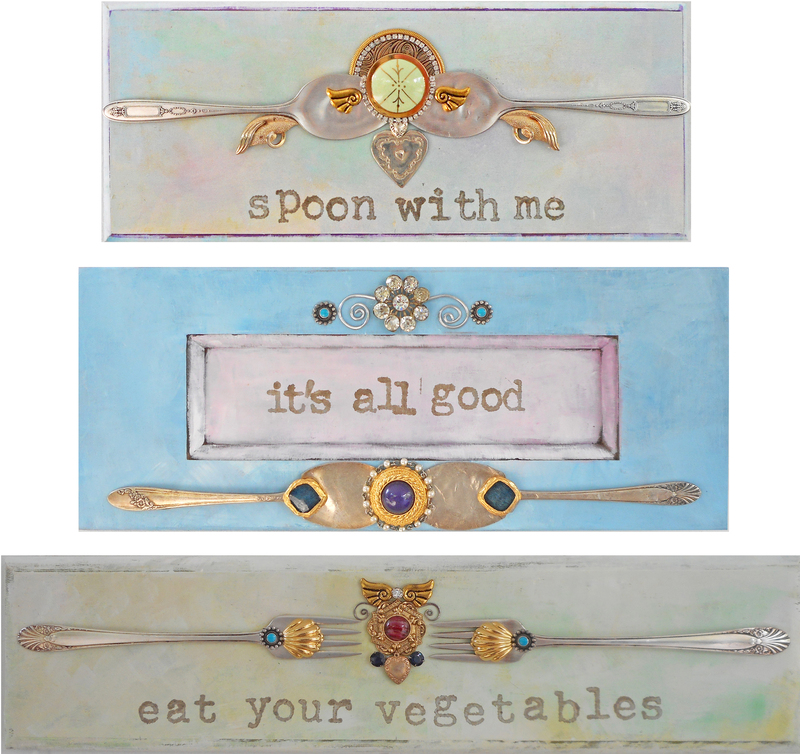 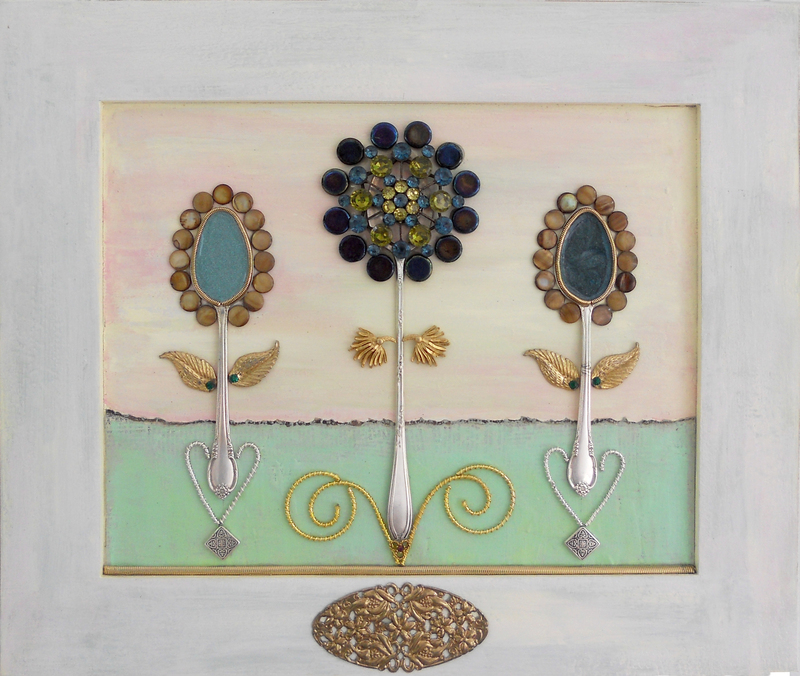 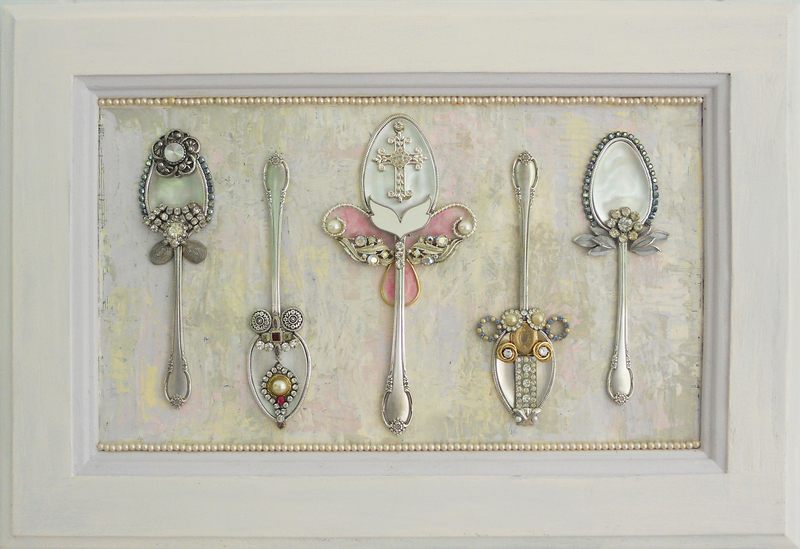 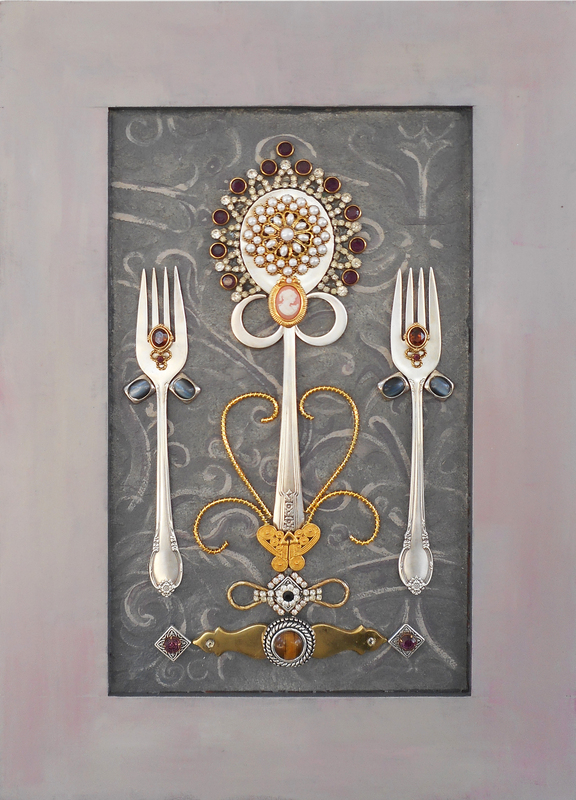 The silver to create these plaques had been used at countless family gatherings and special occasions for generations. 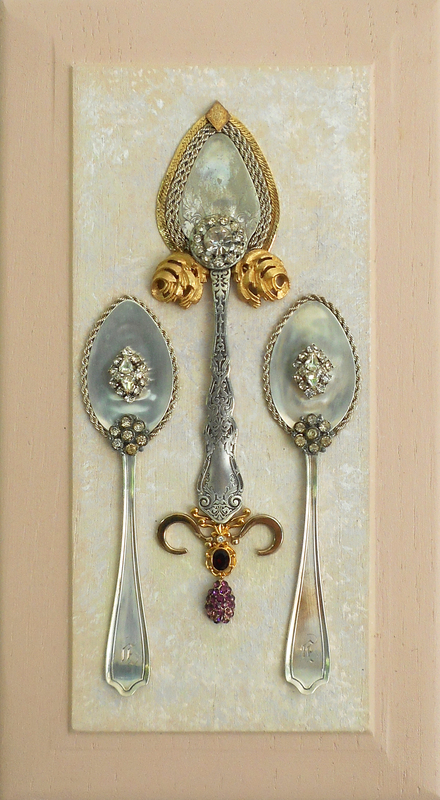 Now it hangs as a tribute to a great lady, a wonderful hostess and a loving mother. 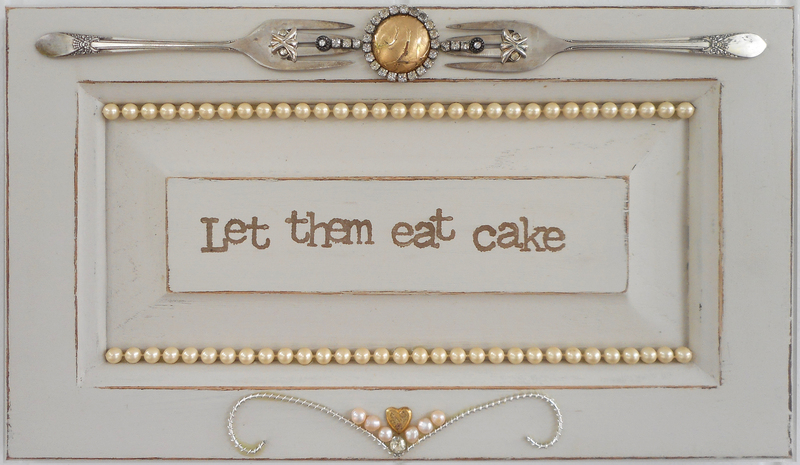 When it is true, why not post it?